ISPUnity is an opensource rubygem/software based multiple internet load balancer and failover. Link .Anybody can download, install, configure and use it for free. Although professional help and support is also available for a small fees from us. Some small startup was not ready to dedicate 1 complete machine to act as the gateway with all the services installed etc. Some individuals who had multiple internet connections wanted to deploy it at home. ISPUnity currently doesn’t have a web UI. When sometime back i heard about Raspberrypi, a low cost, low power basic computer and what other community members are making use of it, i thought it’ll be really good idea to use Raspberrypi for ispunity and make it my gateway. Hence, mentioned below is the detailed description of my experience with Raspberrypi, ISPUnity and the cost involved and functionality that i’m using it for. After playing around with all the various linux distros for Raspberrypi i finalized to use Raspbian. ISPUnity: Installed and configured ISPUnity and works like a charm. DHCP server: To dynamically provide ip’s to my machines on the network. DNS server: Becuase every ISP has it’s on dns, and the request for the same should come from their own network, that creates a problem when cross request are sent. So, better to have a caching dns server with forwarders to open dns servers across the globe. Proxy Server: currently i’m using proxy just to conserve bandwith, and faster response through the proxy cache. But i could use it for filtering the traffic as well. Firewall: There are very few necessary ports opened and that too for security and safety reasons are protected and filtered via firewall. Wakeonlan: Earlier i had to keep my systems running 24×7 for various reasons, which used to consume power ranging from 250W – 500W based on the smps. Now all my systems are powered off when not required and Raspberrypi can wake the server/system whenever it’s required, thus saving lot of power and electricity bill. 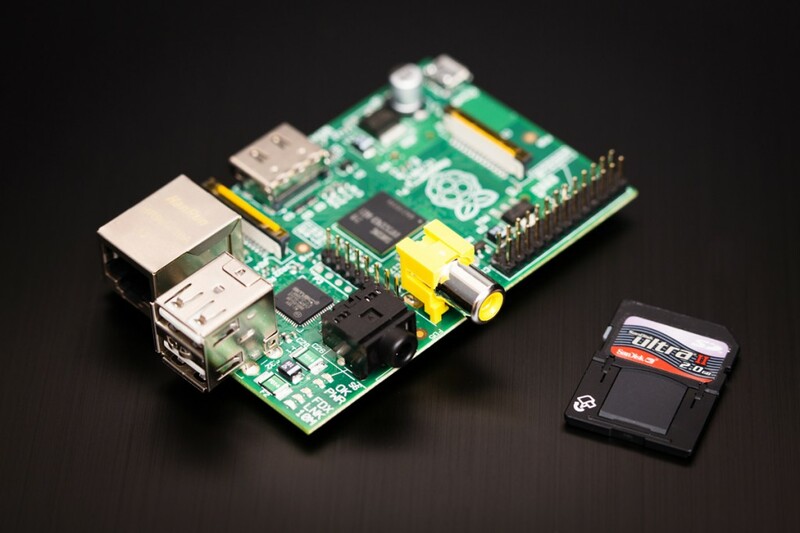 There is no problem in running Raspberrypi 24×7 as it only consumes 5V. Network storage: I then attached 1 usb hard disk that i already had to Raspberrypi and all my downloads are saved and shared from it. So that makes it a low cost NAS device also. Overall the device works well and can handle the workload of a SOHO. but you can’t change/extend/increase the specs like cpu and ram etc as of now. Lan card is attached to the board via usb2 interface, so max network throughput that you’ll get is somewhere between 2-3 mbps. So be aware of that. Limited number of device drivers eg: wifi adapter works with Raspberrypi, so be sure to check the HCL (Hardware compatibilty list) before buying accessories. I’ve got a usb2lan adapter, it gets detected, but b’cas of driver issue, it’s not working on it currently. so if someone has/know a usb2lan adapter that would work with Raspberrypi that will be a lot of help. Solution: i finally found that it’s neither ruby or chef’s fault but a problem with rubygems. so if you downgrade or use rubygems 1.8.25, everything works perfectly fine. and then switch it to use that rubygems. exit the shell and open new shell and test the settings. So I figured, even configuration of chef workstation with chef server 11 is a bit different. This is how I’ve configured my chef workstation with my open source chef server 11. Please note: I’m firing all these commands from my chef workstation. First, i created a folder where i want to have all my code. Then clone the chef repo. remote: Counting objects: 202, done. Receiving objects: 100% (202/202), 34.25 KiB | 5 KiB/s, done. Create a .chef folder inside the chef-repo and create a empty knife.rb file. In my case, my chef server is named and chef11.linuxguy.in and is resolvable by my dns. you can use the ip or fqdn, once you configure it into your hosts file. Note: In earlier version of open source chef server, we needed 2 files, validation.pem and webui.pem, and they used to be in /etc/chef on the chef server. ➜ .chef git:(master) ✗ scp root@chef11.linuxguy.lan:/etc/chef-server/admin.pem . Warning: Permanently added 'chef11.linuxguy.lan' (RSA) to the list of known hosts. ➜ .chef git:(master) ✗ scp root@chef11.linuxguy.lan:/etc/chef-server/chef-validator.pem . ➜ .chef git:(master) ✗ cd ..
Now confirm whether you can access your chef server or not. Note: Please leave your valuable feedback and comments to improve it or if i made any mistake.